Make the lights, glitter, and glam of Las Vegas your new vacation home with a timeshare purchased on the resale market. 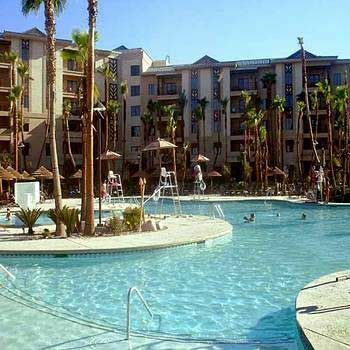 With a variety of floorplans to choose from, Tahiti Village is the ideal fun-filled vacation destination, combining a convenient location directly on the Strip with tastefully appointed vacation units and several on-site amenities for use during your stay. Tahiti Village is located directly on the Vegas Strip, allowing for easy access to some of the most sought-after attractions in the world. Partake in gambling at such casinos as Caesars Palace, The Mirage, MGM Grand, Planet Hollywood, and The Venetian. 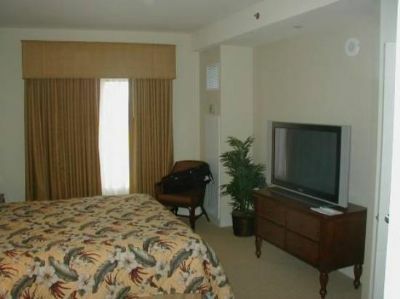 The resort is only a short walk away from nearby entertainment and dining options. Enjoy a meal at the nearby top notch Eiffel Tower Restaurant or enjoy a world-class show such as one of several Broadway shows, Cirque du Soleil attractions, and such famous acts as Penn and Teller and Celine Dion. 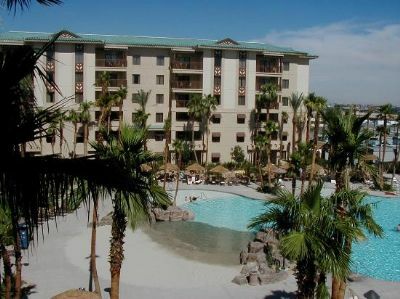 Buy a one or two-bedroom timeshare at Tahiti Village and enjoy a full or partial kitchen with all the essentials, sleeper sofa, sweeping views of Las Vegas, and cable TV with DVD players. With a Tahiti Village timeshare for sale, you will enjoy top-notch service paired with luxurious architecture and furnishings thanks to a recent, multi-million dollar renovation imagined by the nation’s top designers and interior decorators. Relax in style with a deluxe service at the Mahana Spa and Salon or break a sweat at the fitness center, equipped with cardio machines and strength training equipment, as well as daily scheduled aquatic aerobic activities. 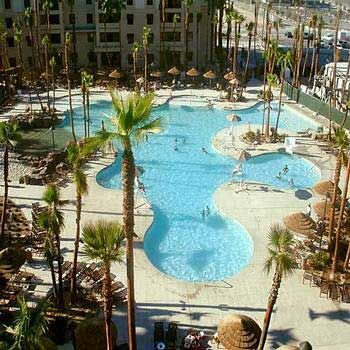 Spend the warm Nevada days lounging by the massive pool complex with hot tub and tiki bar. 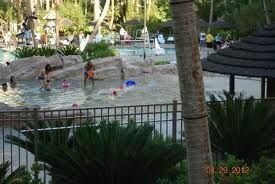 The resort is also home to several on-site restaurants as well as the convenient Wiki Store and scheduled complimentary shuttle service up and down the strip. Contact Tahiti Village Specialist Today! 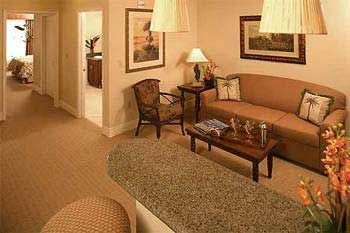 Tahiti Village in Las Vegas is a great place to stay. If you want the Las Vegas experience without the noise of Las Vegas when you are sleeping (or if you just want down time from the excitement of Las Vegas) Tahiti Village is the place to stay. Friendly staff great amenities and activities if you just want to stay at the resort. We love this timeshare! Great family activities! 2 Restaurants on site! Walking distance to stores! Also there is a shuttle to take you to and from the strip as well as other locations! 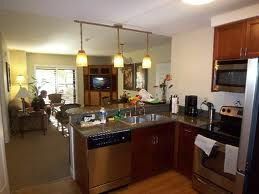 two bedrooms and a full kitchen. Also a balcony for relaxing if you wish!